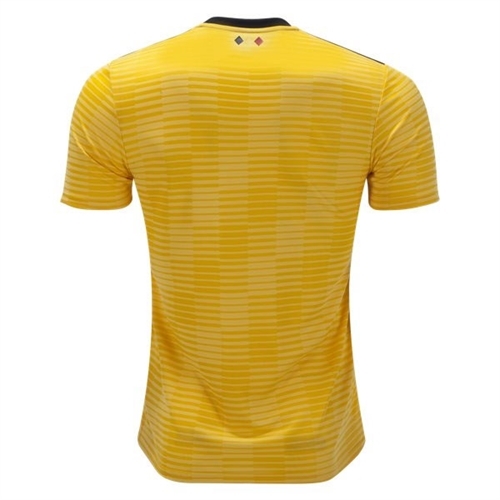 Belgium will be wearing the gold away jersey. The 3 stripes run down the side of the jersey. With ClimaLite technology. 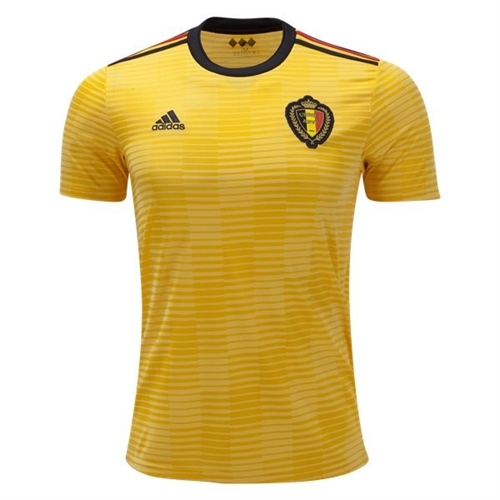 Our adidas Belgium Away Jersey 2018 is made with breathable ClimaCool technology fabric for lightweight comfort. Featuring a woven team crest and bold signature details, this replica away shirt proudly celebrates an elite team like Belgium that is a favorite to win the tournament.